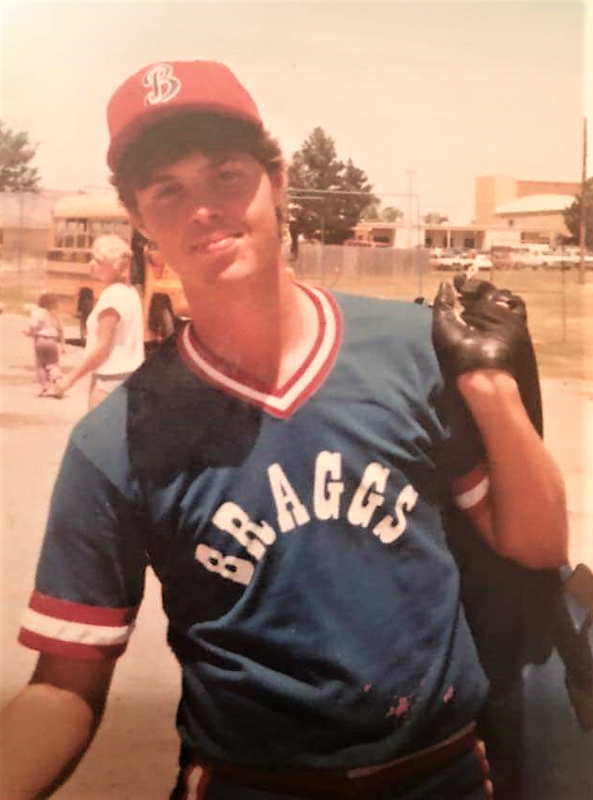 Terrill Dean Kizzia, 49, of Braggs, Oklahoma passed away Saturday, April 6, 2019. He was born on August 15, 1969 to Billy Terrill Kizzia and Sheila Faye (Nuckolls) Kizzia in Muskogee, Oklahoma. Dean graduated from Braggs High School and also attended the University Of Oklahoma where he played baseball. He also attended Eastern State College, Connors State College and South Eastern State University where he earned his Bachelor’s Degree. He married the love of his life, Tracie Lecrone, on April 4, 2014. They spent 5 years of life and marriage together. Dean worked as a crane operator and an iron worker in the construction industry for many years. He loved playing baseball, going fishing, and spending time with his brothers and his family. Dean loved his family very much and they will miss him dearly. He was preceded in death by his father, Terry Kizzia; daughter, Mayson Kizzia; grandparents, Bill and Bea Kizzia, and Richard Nuckolls; uncles, Ronnie and Larry Kizzia; and aunt, Debbie Hawarth. Dean is survived by his loving wife, Tracie; son, Ryker; daughters, Autumn, Chelsea Kizzia, and Morgan Kizzia; step-daughter, Grace Lane; mother, Sheila Kizzia; sister, Trenda Mackey (Wes); brothers, Jamie Kizzia (Kerri), Tucker Kizzia (Sarah), Mike Kizzia, and Garrett Kizzia (Callie); grandmother, Betty Nuckolls; nephews, Parker, Payton, Aaron, and Corey York, Austin Kizzia, Kutter and Kaiser Kizzia, Jaxon, Cage, William, Jordan and Jaden; and one special niece, Rian Kizzia, and Ashlynn, and Jaycee; and countless aunts, uncles, cousins, friends, and teammates who he dearly loved. A family visitation will be 5:30PM-7:30PM, Wednesday, April 10, 2019 at Cornerstone Funeral Home. A celebration of Dean’s life will be 2PM, Thursday, April 11, 2019 at South Bethel Cemetery with Rev. Richard Nuckolls officiating. Interment will follow the graveside service with Danny Bell, Kevin King, Frankie Posch, Doug Olinger, Dennis Tice, Greg Jones and Paul Coburn serving as honorary pallbearers. Funeral services are under the direction of Cornerstone Funeral Home, 1830 N. York Street, Muskogee, Oklahoma. Condolences may be made to the family online at www.cornerstoneofmuskogee.com.